Jess Duncan born 1973. Works for Linden Labs in San Francisco. Have granddaughter Kalani born 9/22/16. Children More…include my pets - three beautiful horses (two Tennessee Walkers and one POA pony), four big sweet dogs and five mischievous cats. After attending Baker University in Baldwin, KS, I began my career as a stewardess (graduating to Flight Attendant) for TWA in 1969. One visit to San Francisco and I was hooked - moving in 1970. Working for TWA for 32 years and American Airlines for two; flying mostly New York International. Commuting from San Francisco to New York was the hardest part. Had a beautiful horse ranch in Palo Cedro, CA (near Lake Shasta). 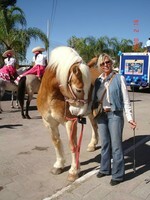 Now retired in Lake Chapala, Mexico I sleep late and enjoy life with many friends and animals. Remember fondly many friends at E.T.H.S.!!! Diane Cowell Duncan has a birthday today. Diane Cowell Duncan updated her profile. View. Diane Cowell Duncan posted a message. Nanci - what a hoot about the culotte story!!! So Funny!! Hope you are doing well - sounds like you are. Diane Cowell Duncan changed her profile picture. Diane Cowell Duncan has a birthday today. New comment added. Diane Cowell Duncan added a comment on her Profile.